In a few days, the IFA 2015 tradeshow is going to open its gates, and one of the major device manufacturers expected to host a press event on the grounds there is Sony. 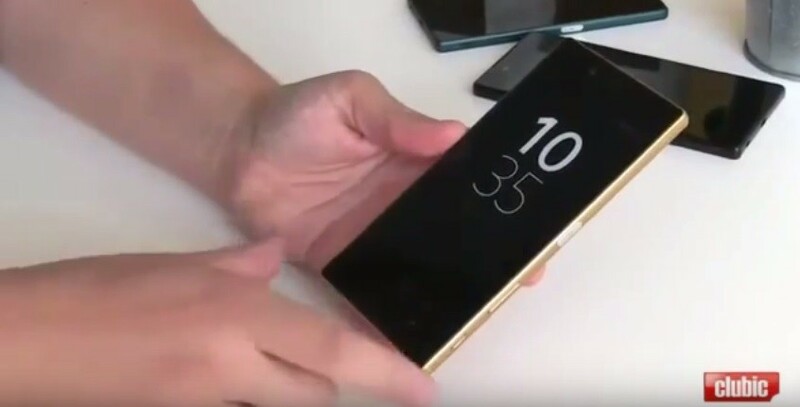 The company is looking to unveil its next-gen Xperia Z5 flagship, which won’t come alone but alongside two other models, the Xperia Z5 Compact and Xperia Z5 Premium. Now, if you can’t wait a few more days and you’re really anxious to see what the new Sony phones look like, GR1 has posted a 3-minute video showcasing the upcoming models in action. In the video there’s even a mention of the mighty Xperia Z5 Premium, which, according to the rumor mill, will probably be the first smartphone in the industry to boast a 4K display. Previous information would have us believe that the Xperia Z5 will make a debut into the wild with a 5.2-inch display with 1080p resolution (1920 x 1080 pixels), while the Xperia Z5 Compact will boast a 4.6-inch screen with only 720p res (1280 x 720 pixels). The most impressive of the three will naturally be the Sony Xperia Premium (previously known as the Xperia Z5+), a phone tipped to make an appearance with a 5.5-inch display with amazing 4K resolution (2160 x 3840 pixels) and an insane 800+ ppi count. Apparently, the phone’s display will also be utilized for virtual reality purposes. The three handsets should all benefit from an in-house Sony 23MP camera unit that features a super-fast 0.1-second autofocus, f/1.8 aperture and 1/2.2 inch sensor. The higher-end models in the trio will be powered by a Snapdragon 810 SoC that features an octa-core CPU and Adreno 430 GPU. Hopefully, Sony has found a solution to keep the controversial chipset from overheating inside of its new devices. Shortly after the Xperia Z3+ was released, we started hearing owners complain about overheating problems. The company tried to solve the issue by pushing out a software update, but it didn’t seem to help that much. We were hoping that Sony would wait for the Snapdragon 820 for its next-gen flagship, but it seems pretty evident at this point that this is not the case.